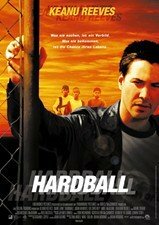 In order to pay off gambling debts, a reluctant Keanu Reeves agrees to coach a baseball team comprised of kids living in one of Chicago's roughest housing projects. As the season progresses, Reeves and his young charges learn to trust one another--and in themselves--in this moving comedy/drama based on a true story. Diane Lane, D.B. Sweeney also star. 106 min. Widescreen (Enhanced); Soundtracks: English Dolby Digital 5.1, Dolby Digital Surround, French Dolby Digital Surround; Subtitles: English; audio commentary; deleted scenes; featurette; music video; theatrical trailer.